Lesson 3: I am a New Person! One of the wonderful things about God is that He likes to create new things. When sin has ruined something that He created, God creates something new, something that sin cannot touch. God saw my many sins. God saw me in Satan’s kingdom of darkness. My condition seemed hopeless. I had committed many sins, and I was a sinner in Satan’s kingdom of darkness. 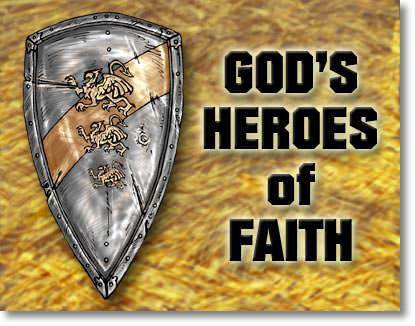 God is a Savior God, and salvation is God’s work, not ours. We are not saved by what we do for God, but by what God did for us 2,000 years ago in the death of His Son on the cross. God cleared me of everything that was against me; He ended my old life, and He created me as a new person in Christ. Let us see how God did this. How did God deliver me from my sins? Forgiving me of all my sins was no easy matter. It cost God the life of His beloved Son. “God shows His love toward us, in that, while we were yet sinners, Christ died for us” (Romans 5:8). My sins, my guilt, and my shame were all on Christ when He died. Now they are gone forever in God’s sight. The Bible says that Christ “loved us, and washed us from our sins in His own blood” (Revelation 1:5b). How this touches our heart! How did God deliver me from my sinful self? It is wonderful to know that God has forgiven me of all my sins, but I have a deeper problem. I am a sinner. When I was first saved, I thought that I would always love God and want to please Him. 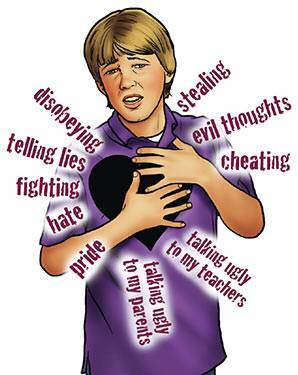 But I soon discovered that there was something inside of me that did not love God and did not want to please God. Though I was a Christian, I was committing many sins. Where do our sins come from? They come from our sinful nature. 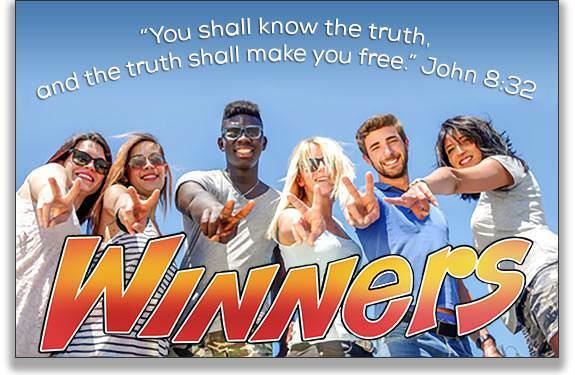 We are all born with a sinful nature called “the flesh.” As long as we are in our present bodies, we cannot get rid of our sinful nature, but God makes it possible for us to have victory over it. Suppose God forgave me of all my sins and left me here as I was. I would keep on sinning, and that would be terrible! 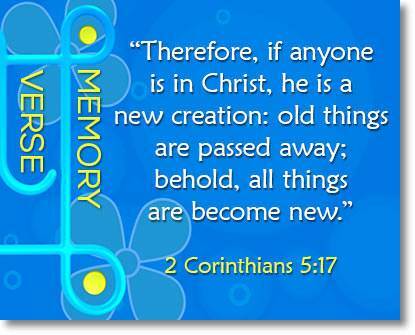 God’s solution to the problem of my sinful self is to get rid of my old self and make me a new person in Christ. “But of Him [God] are you in Christ Jesus…” (1 Corinthians 1:30). When Christ was crucified, I was “crucified” with Him. My old sinful self, which the Bible calls “the old man,” was crucified with Christ. “Knowing this, that our old man [our old self] was crucified with Him [Christ]…” (Romans 6:6). To help us understand this, let us take a piece of paper and cut out a little man. Now take the little man and place him in a book. Where is the little man now? He is in the book and he will stay in the book. Suppose we place the book on the table. Where is the little man now? 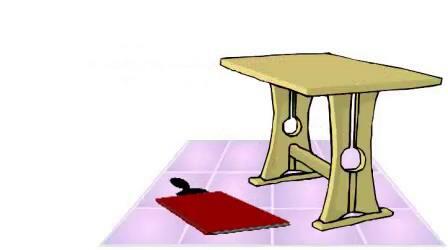 He is in the book on the table. Suppose we put the book on the floor. Where is the little man now? He is in the book on the floor. Suppose we wrap the book with the little man in it and send it to another city. Where is the little man now? He is in the book in the other city. Suppose I take the book with the little man in it and hold it under water. What happens to the little man? He is still in the book, under the water. In this illustration the book represents Christ and the little man represents me. Just as we put the little man in the book, so God put me in Christ. Once the little man was put in the book, whatever happened to the book also happened to the little man because he was in the book. The same is also true of me. God put me in Christ on the cross and whatever happened to Him also happened to me because I was in Christ. When Christ was crucified, I was crucified with Him. When He died, I died with Him. When He was buried, I was buried with Him. And when He rose again, I rose again with Him. Whatever happened to Him, happened also to me. In myself I have not died, but these things are true of me in Christ. Remember the little man in the book. Once the little man was put in the book, whatever happened to the book, happened to him because he was in the book. The same is true of me. Once God put me in Christ on the cross, whatever happened to Him, happened to me because I was in Christ. I was in Christ when He died. In God’s sight that was the end of my old life. In God’s sight, my old life as a sinner ended with my death with Christ. I was “buried” with Him, and I was “raised” with Him as a new person in Christ. “Therefore, if any man be in Christ, he is a new creature [a new person]: old things are passed away; behold, all things are become new” (2 Corinthians 5:17). I am a new person in a new place! I am no longer in Satan’s kingdom of darkness. I am a new person in a new place! 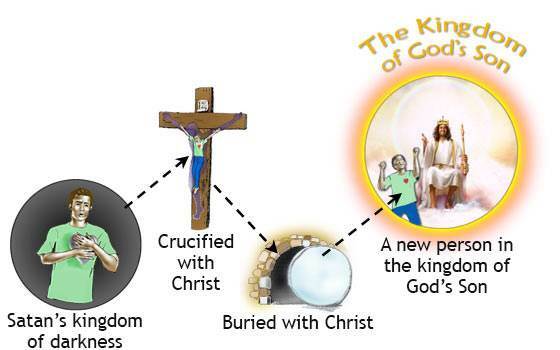 I am now in the kingdom of God’s dear Son. Christ has delivered me from everything that was against me. It was a happy day when I learned what Christ has done for me. He has removed everything that stood between God and me. “I write unto you, little children, because your sins are forgiven you for His name’s sake” (1 John 2:12). What about my old sinful life? In God’s sight my old life ended with my death with Christ. The apostle Paul said, “I have been crucified with Christ.” I can say this too, because Christ is my Savior. 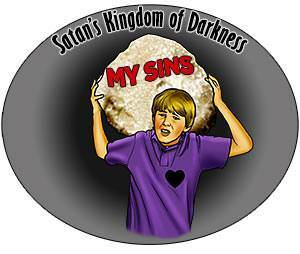 What about Satan’s kingdom of darkness? I am no longer in Satan’s kingdom of darkness. God has transferred me out of Satan’s kingdom of darkness and into the kingdom of His dear Son. “Giving thanks unto the Father…Who has delivered us from the power [kingdom] of darkness, and has translated [transferred] us into the kingdom of His dear Son” (Colossians 1:12a,13). God wants me to enjoy Him. How wonderful it is to know that all my sins are forgiven, and I am a new person in Christ! Why did God do all these wonderful things for me? He did them because He loves me and because I belong to His Son. God always sees me in Christ! God is first of all a Savior God and a Deliverer. “He that spared not His own Son, but delivered Him up for us all, how shall He not with Him also freely give us all things” (Romans 8:32). God is for His people now and forever! 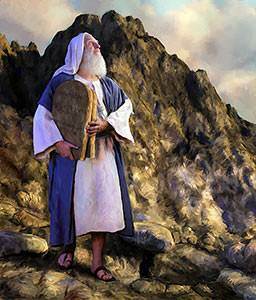 On Mount Sinai God gave the Ten Commandments to Moses. 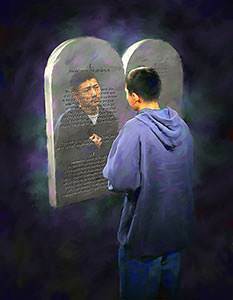 With His own finger, God wrote these commandments on two tablets of stone and gave them to Moses to give to the people. In the Ten Commandments, God said: You are to love and worship Me supremely. You are not to allow anything to come before Me. You are not to make idols, nor bow down to them, nor worship them. You are not to use My name carelessly. You are to keep the Sabbath day holy. You are to respect and honor your parents. You are not to commit murder. You are not to steal. You are not to lie, and you are not to strongly desire something belonging to someone else. God’s laws tell us what is right and what is wrong in God’s sight. Because we love God, we want to keep His commandments, but because we have a sinful nature, we are not able to keep God’s commandments perfectly. No person, other than the Lord Jesus, has ever kept God’s laws perfectly. to show us what sin is. to show us that we are sinners. to show us that we need Christ as our Savior. Moses represented God’s law but he could not bring the children of Israel into the promised land. Joshua was the one chosen by God to bring His people into the promised land. Joshua is a type of Christ, our Savior. Christ is the One chosen by God to bring us to our “promised land." The whole purpose of the law is to bring us to Christ, that we might be saved by faith in Him. “Believe on the Lord Jesus Christ, and you shall be saved…” (Acts 16:31). Copyright © 1998-2019 UB David & I'll B Jonathan, Inc. Mailbox Club lessons © The Mailbox Club International; used by permission with adaptation for the Internet. All rights reserved.